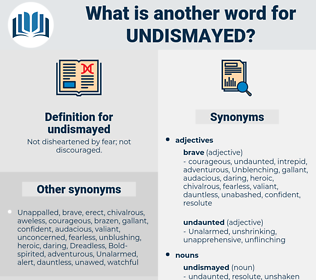 What is another word for undismayed? Not disheartened by fear; not discouraged. fearful, timid, reticent, afraid, weak, meek, careful, frightened, mild, cautious, irresolute, unadventurous, humble, shy, cowardly, retiring. 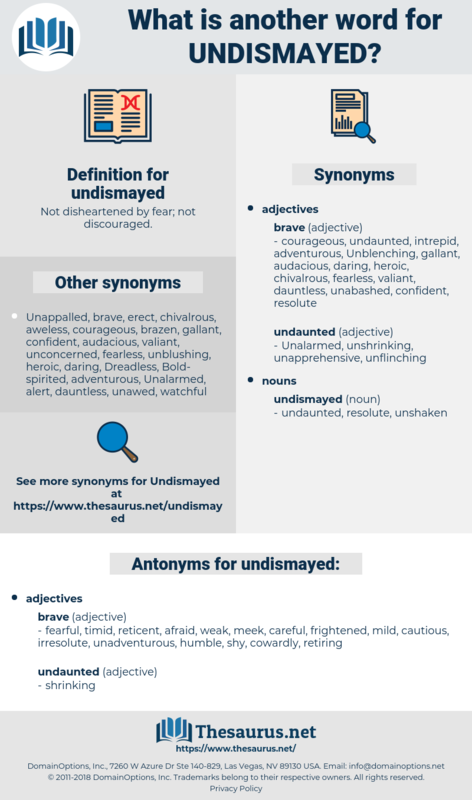 faint-hearted, cringing, pusillanimous, timorous, shrinking. So Newton was undismayed when he looked for the needed confirmation of his theory in the motion of the moon and for the time failed. Jane and he, hand in hand, could walk through it fearless and undismayed.